In the latest example of things I have made heading off into the world and having a life of their own, a set of four postcards of my drawings and other items relating to an exhibition of my work at Wolseley Fine Arts, London, in February 1996 are now in the Tate Library at Tate Britain. In 1990, I spent six months drawing my way around England, culminating in that show. 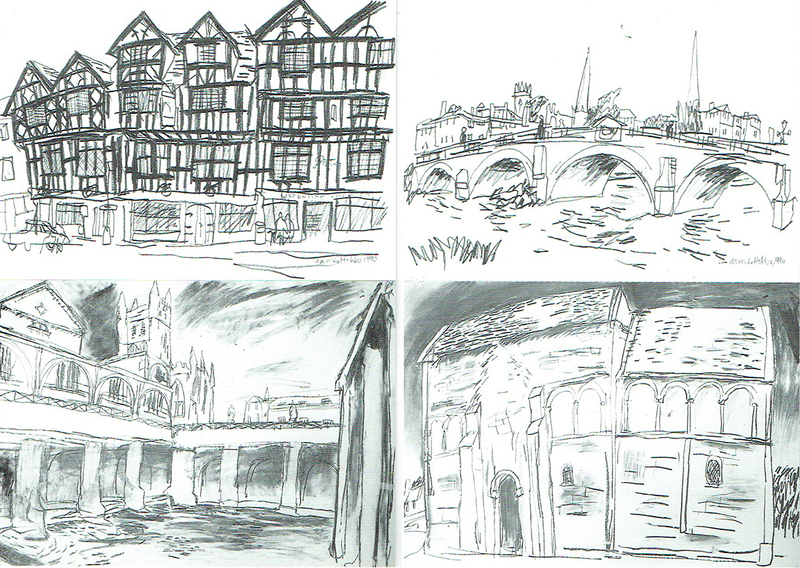 Clockwise from top left: Ludlow Boots; the spires of Shrewsbury; Saxon Church, Bradford on Avon; Roman Baths, Bath.